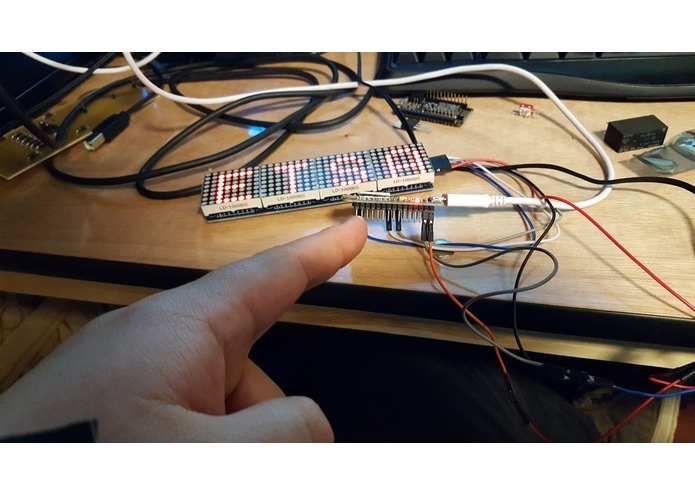 Me and only me, work consisted of going through the MAX7219 datasheet and the Arduino driver for it to implement my own, setting up a simple C script that uses curl to fetch and interpret data from a HSL "API" and implementing the data scrolling through the fetched data on an ESP8266. Th4nks 4 v0ting 4 m3! To the Mountain Dew valley we enter! Winrar! I'd like to thank the academy for this soecial occashun. Im so moved, I would of crid if terminator.